Last year, over 175 organizations participated, including NEEP and over 50 of our partners. 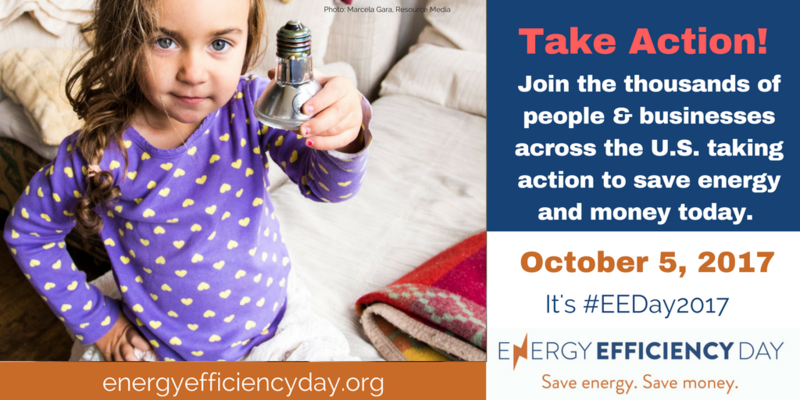 The inaugural event was a collaborative effort of regional and national organizations working to promote energy efficiency in a social media and press effort to raise awareness by sharing content, stories, and success stories of the positive impacts of energy efficiency. The Twitter campaign alone created an estimated reach of over 17 million impressions. It’s not too late to join this year’s campaign. Share pre-made content and graphics using the hashtag #EEDay2017, take the Light Bulb Challenge, make it a workplace event with our Office Lighting Challenge, or create your own content. Organizations, companies, government agencies and others will promote energy efficiency through these challenges, social media messaging, and other content. Flex your creative muscle for this good cause. 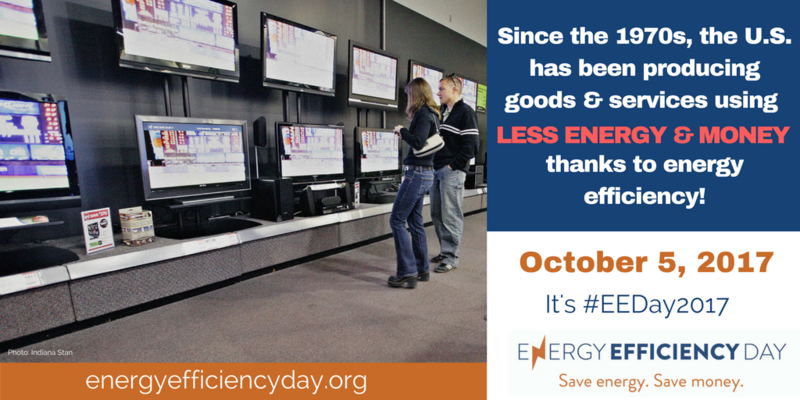 This year, a number of cities and counties are officially declaring Energy Efficiency Day with proclamations. The growing list includes states (North Carolina) cities (Chicago, Honolulu, Pittsburgh), utility commissions (California PUC), utilities (PG&E), government agencies (South Carolina Department of Health and Environmental Control), companies (General Electric) plus a long list of nonprofit advocacy organizations working throughout the country. A full list of supporters is available here. Energy efficiency is the cheapest, quickest way to meet our energy needs, cut consumer bills, reduce pollution, and meet our carbon reduction goals. Energy efficiency is also an economic engine, supporting 2.2 million jobs nationwide in manufacturing, construction and other fields – most of which can’t be outsourced overseas.